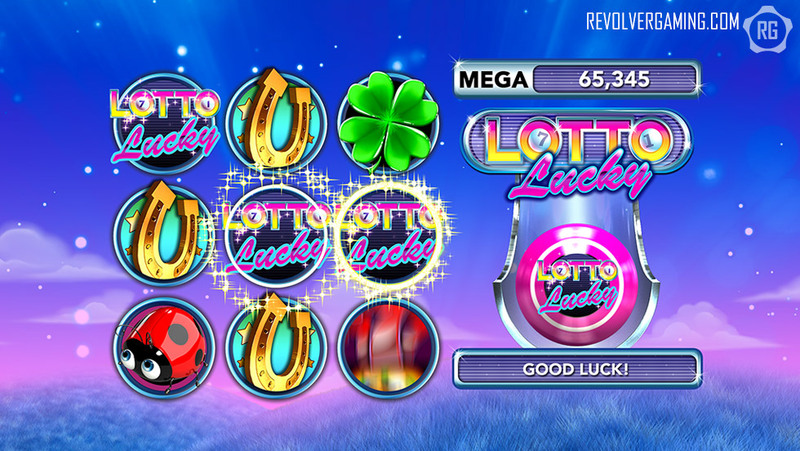 LOTTO Lucky™ | Revolver Gaming - 3D Slots & Social Casino game creators! 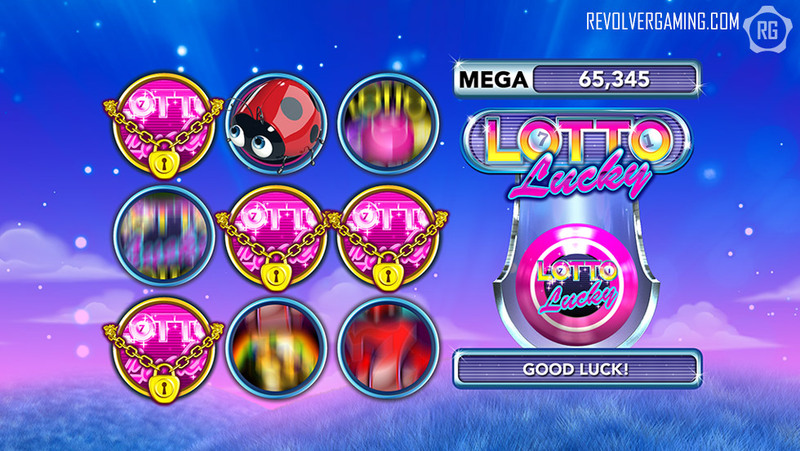 ‘LOTTO Lucky™’ is a unique and entertaining 3D slot game with a cute and vibrant lucky charm theme. The base game displays 9 spots (3×3 grid), each representing an individual reel and features a LUCKY symbol. 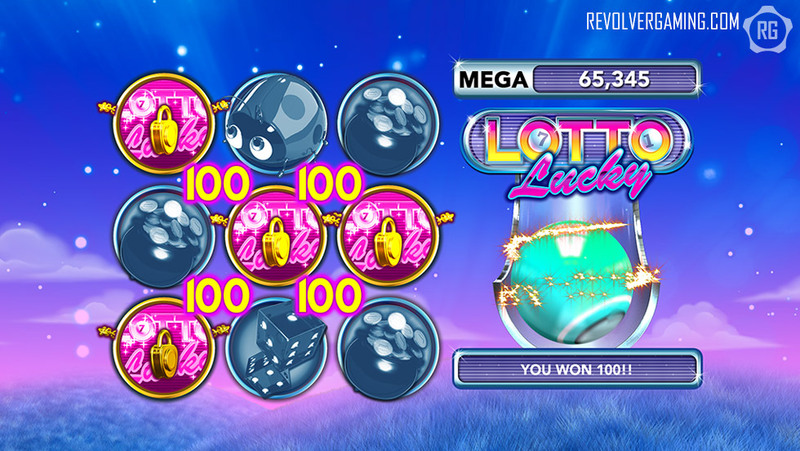 The LUCKY PLAY is randomly selected out of the 10 eligible symbols for each ‘spin’. Should the player’s spin result in hitting 3 or more Lucky Symbols, they will freeze and lock while the remaining symbols re-spin until no more Lucky Symbols appear. The Lucky Symbol pays for the total number of matching symbols collected, and that pay is doubled to help you win that gold pot at the end of the rainbow! 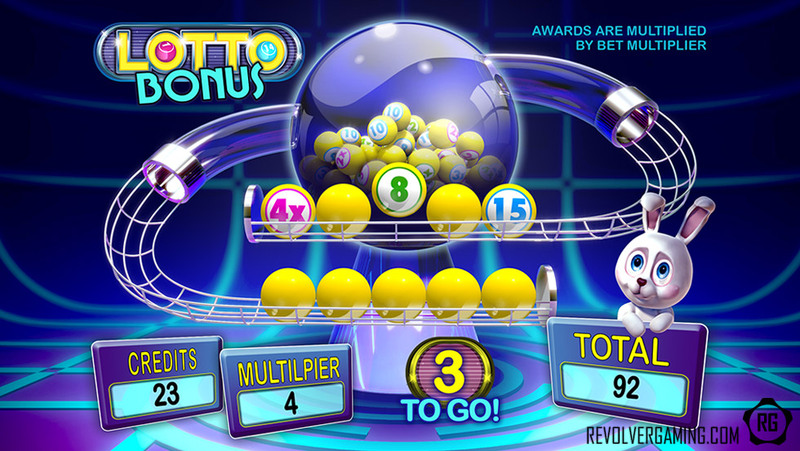 LOTTO Lucky™ features a 2nd screen ‘LOTTO BONUS’, where your choice of lottery balls can award credits and multipliers for BIG WINS!